Alexandria Ocasio-Cortez is one of four women whose 2018 campaigns for Congress are followed in the documentary, "Knock Down the House." 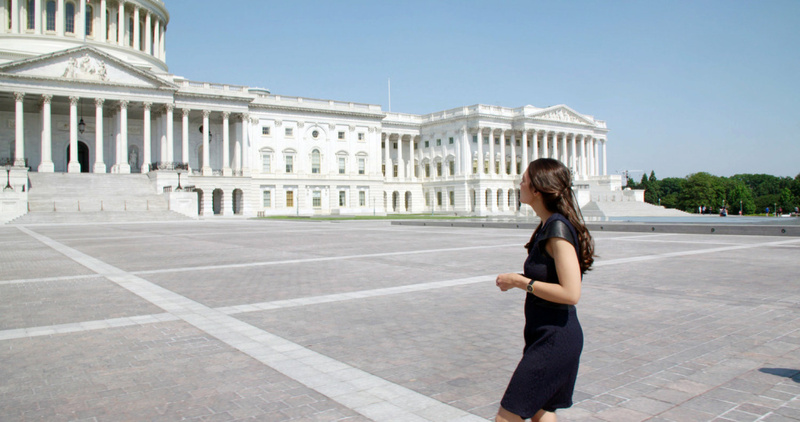 "Knock Down the House" is a documentary about four women from different parts of the U.S. who were compelled to run for Congress in 2018, including Alexandria Ocasio-Cortez. Director Rachel Lears followed their campaigns and talks about the journey with John Horn. L.A. Times film reporter Jen Yamato is today's guest on our daily recap from Sundance. The vaquita, the world's smallest whale, is near extinction as its habitat is destroyed by Mexican cartels and Chinese mafia, who harvest the swim bladder of the totoaba fish, the so-called "cocaine of the sea." Environmental activists, Mexican navy and undercover investigators fight back against this illegal multi-million-dollar business in the documentary, "Sea of Shadows." Director Richard Ladkani talks with John about his film.